Can We Jailbreak iOS 6.1 Beta 3 On Our iDevices ? Yesterday, Apple has released iOS 6.1 beta 3 for developers. We were asked a lot to show the ability of jailbreaking iOS 6.1 beta 3 and we will explain that in detail in this post. You will be able to jailbreak old A5 devices but tethered jailbreak. Tethered jailbreak means that you will need to jailbreak your device every reboot. If you have the new iPhone 5 in your pocket or have iPhone 4S, iPad 4, 3, 2, iPad mini or iPod touch 5th generation, unfortunately you won't be able to jailbreak any of these referred devices with Redsn0w tool. If you have old A5 device and these devices are susceptible to the Limera1in exploit you can enjoy a tethered jailbreak only. After long wait, the iPhone Dev-Team has finally updated the Redsn0w to 0.9.15b3 to fix many errors. One of the most irritating error while restoring an iPhone 3GS or iPhone 4 was the ( error 2601 ). Thanks to this update which will fix this error. Moreover, many users were also having Error 14 in iTunes which is now fixed in this updated version. According to Dev-Team blog post, if your iPhone relies on ultrasn0w or Gevey Sim Unlock, you should use the “Restore” feature rather than the stitching. Few hours ago, Apple has released iOS 6 Beta 4 Build 10A5376e For iPhone, iPod touch and iPad. 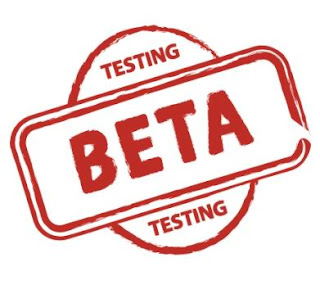 This beta version is available for developers supported for Windows and Mac. The most important feature brought with this version is that Apple has removed YouTube app from that version. 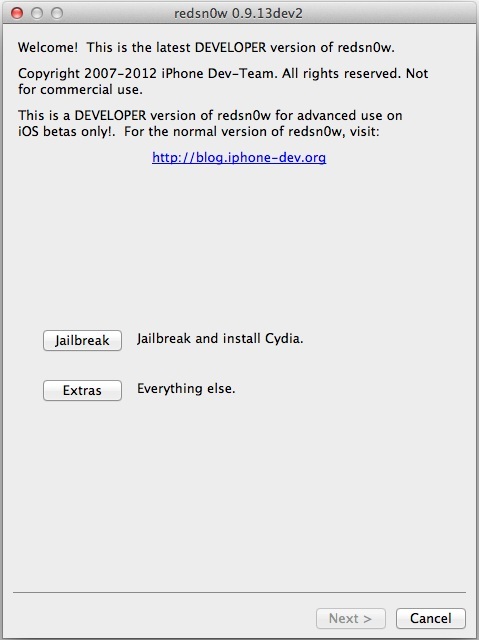 You can jailbreak iOS 6 beta 4 With Redsnow 0.9.13dev3 as shown below. MuscleNerd, the well known hacker and developer has confirmed on his Twitter account that iOS 6 beta 4 can be jailbroken with the help of the current version of Redsnow 0.9.13 dev3. Click here to check our step by step guide to jailbreak iOS 6 beta 4 with Redsn0w 0.9.13dev3 as the old guide typically. 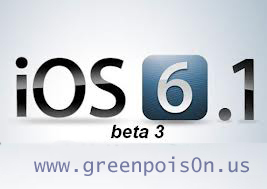 Well, few days ago, we have reported you about iOS 6 beta 2 and we have showed you how to jailbreak it with Redsn0w 0.9.13dev2. Now a new version of redsn0w 0.9.13dev3 has been released specially for those who have A4 devices and register UDID. For those who have these devices can use Redsn0w 0.9.13 dev3 to jailbreak iOS 6 beta 3 with many improvements and updates. Download Redsnow 0.9.13dev3 for both Windows and Mac after the following jump. 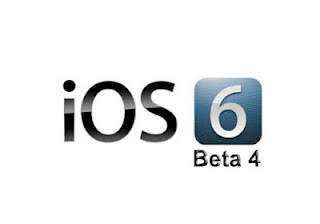 As we showed you, Apple has released iOS 6 beta 2 for people who have developer accounts and we reported you with a post showing how to install iOS 6 on your idevices without having developer account. 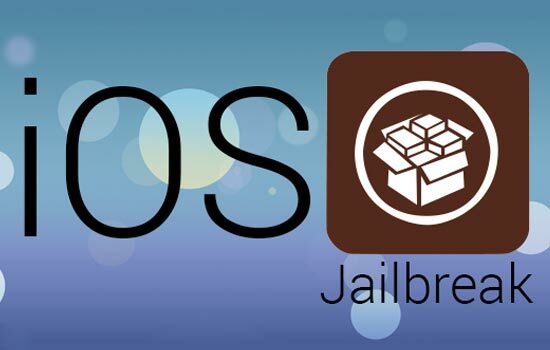 In this post we will show you how to jailbreak iOS 6 with Redsnow 0.9.13 dev2. This is a tethered jailbreak and this is also not compatible with latest updates of firmware. To understand what i mean, let's read the full post and check the full guide to jailbreak iOS 6 with Redsn0w 0.9.13dev2 after the following jump. If you have an iPhone, iPod or iPad and the home button is broken and you are bored with your jailbroken firmware because it is slow and not really flexible to use, we will show you how to re-jailbreak your idevice without using home button by trying our step by step guide here below. Don’t get annoyed over it as the iPhone Dev Team is providing you with a simplest solution of moving into the DFU mode with broken home button. This method uses latest version of Redsn0w 0.9.14b2 which allows you to create a firmware which pushes your iDevice into the DFU mode. Let's check the guide after the jump. Yesterday, iPhone dev team has released Redsn0w 0.9.14b1 to jailbreak your idevices and gives you the ability to downgrade the baseband on iPhone 3GS. Download Redsn0w 0.9.14b1 for both Windows and Mac after the jump. Well, Apple has released iOS 6 beta 1 since two days which comes with a lot of great features for Apple devices. Our users who has updates their firmware to iOS 6 beta 1 are looking forward to jailbreak this version. Today the iPhone Dev Team has just announced releasing Redsn0w iOS6 beta Tethered jailbreak which means you will have to make a just boot after every time you reboot your device. 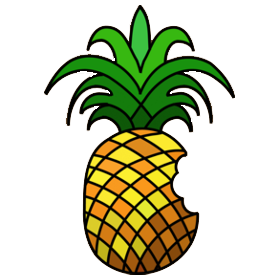 Download Redsn0w 0.9.13dev1 for both Windows and Mac. Few weeks ago, iPhone dev team has released a new update of redsn0w along with Absinthe 2.0.4 to jailbreak iOS 5.1.1 untethered for all idevices. MuscleNerd has released Redsn0w 0.9.12b1 with SAM unlock feature which gives you the ability to unlock your iPhone easily. Today, iPhone dev team has just released Redsn0w 0.9.12 b2 with new rocky racoon injection option and fix many bugs. Download Redsn0w 0.9.12b2 for both Windows and Mac from the links below after the jump. 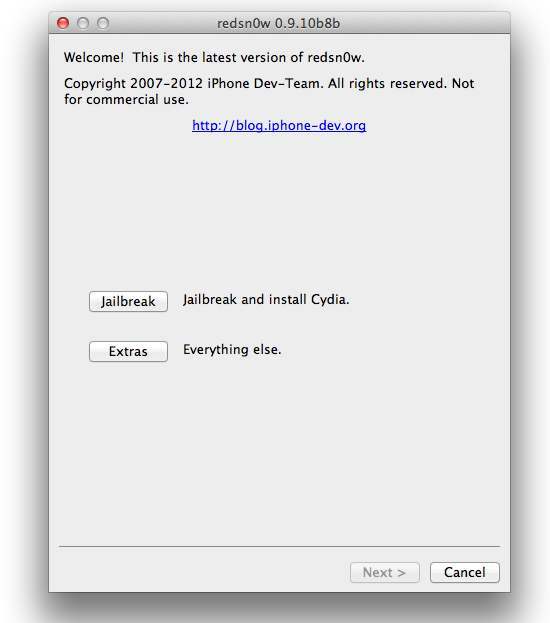 Previously, we told you that MuscleNerd and iPhone dev team has released Redsn0w 0.9.12 b1 to jailbreak iOS 5.1.1 untethered. Redsn0w 0.9.12b1 has been released with new wonderful features like SAM unlock feature which will help you to unlock your idevice easily without any barriers and the one of these new features which was brought with redsnow 0.9.12 b1 is that you can jailbreak your iPhone without entering DFU mode, so you can skip this step. I will show you full guide with video to use Redsn0w 0.9.12 b1 to jailbreak iOS 5.1.1 untethered after this jump. As usual, MuscleNerd updates and amazing news is not going to stop. MuscleNerd the well known hacker and developer over iPhone dev team has released new update of redsn0w today. 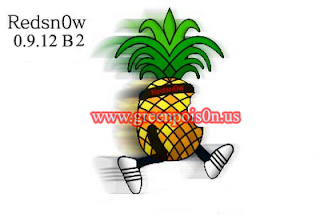 He has released Redsn0w 0.9.12 b1 to jailbreak iOS 5.1.1 untethered on all A4 and A5 devices. Redsn0w 0.9.12b1 is brought to you to jailbreak iOS 5.1.1 untethered on Windows and Mac and with the new feature " SAM unlock " which gives you the ability to unlock your idevice easily. Download Redsn0w 0.9.12 beta 1 for Windows and Mac from the links below after this jump. Little time ago, Apple has released iOS 5.1.1 for all idevices with new updates, improvements and bug fixes. MuscleNerd has confirmed on his Twitter account that the current version of Redsn0w can jailbreak 5.1.1 " Tethered ". Redsn0w 0.9.10 b8b can jailbreak 5.1.1 on iPhone 4, 3GS, iPad 1, iPod touch 4g, 3g. Tethered jailbreak means that you will need to connect your device to PC every time you reboot. Follow our step by step guide with video after the jump. Previously we have released iPhone 4S unlock with SAM. 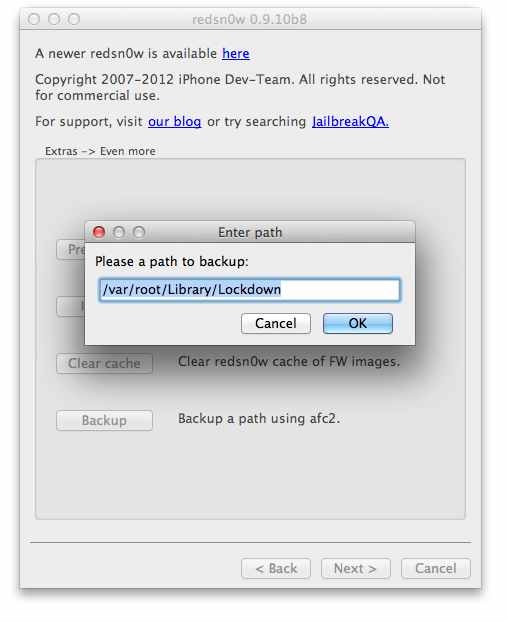 Dev team has released Redsnow 0.9.10 b8 to backup the unlock files for ever and keep it away from Apple hands. Few minutes ago the iPhone dev team has released Redsn0w 0.9.10b8b. This new version of Redsn0w has been updated to fix latest bugs. 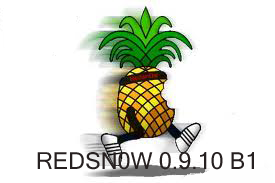 Let's check new updates with Redsn0w 0.9.10 b8b after the jump. Previously, iPhone Dev team was able to release redsn0w 0.9.10 b8 to allow unlockers to quickly create backup of iPhone 4S / iPhone 4 unlock activation ticket and save it easily on hard drive, so let me show you how to do this in few and simple steps. Let's check the guide below with video after the jump. Well, iPhone Dev team published and released a new version of Redsn0w that allows unlocker in saving the unlock activation tickets resulting from the new SAM unlock solution. Redsn0w 0.9.10 b8 has a new button that lets you backup the activation tickets. Download redsn0w 0.9.10 b8 for both windows and Mac from the links below after this jump. Today, iPhone Dev team has published new version of Redsn0w with new significant updates and new amazing features. The new version Redsn0w 0.9.10b7 is available for both Windows and Mac OS X. Previously iPhone Dev team managed to merge the corona A5 on Redsn0w. Corona was used to jailbreak iOS 5.0.1 Untethered on iPhone 4S & iPad 2. 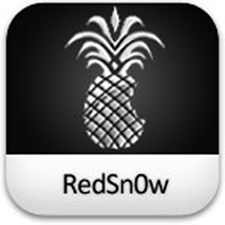 Download redsnow 0.9.10 b7 to jailbreak iOS 5.0.1 untethered on your iPhone 4S and iPad 2 after the jump. After releasing iOS 5.1 before yesterday, iPhone Dev-team has worked hardly to find jailbreak for iOS 5.1 users. 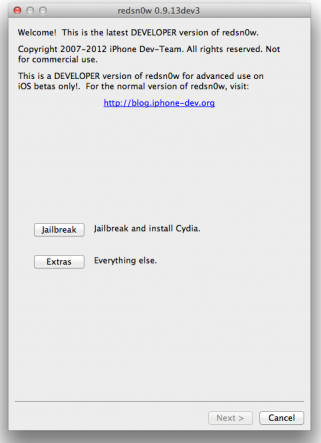 MuscleNerd the well known hacker and developer of iPhone Dev-team has announced Redsn0w 0.9.10 b6 to bring a tethered jailbreak for iOS 5.1 on iPhone 4, iPhone 3GS, iPod Touch 4G, 3G and iPad. Follow our guide after the jump. Wooow, finally iOS 5.0.1 untethered jailbreak has been released. An hour ago, iPhone dev-team has released Redsn0w 0.9.10 b1 to jailbreak iOS 5.0.1 untethered for iPhone 4, iPhone 3GS, iPod Touch 4G, iPod Touch 3G and iPad. Previously Pod2g was the responsible for iOS 5.0.1 untethered jailbreak, he has worked hard last days and he delivered his work to iPhone dev team and Chronic dev team. iPhone dev team has put an end for the most awaiting jailbreak ever. Redsn0w 0.9.10 b1 is available now between your hands to jailbreak iOS 5.0.1 untethered. You can download Redsn0w 0.9.10 b1 to jailbreak iOS 5.0.1 untethered for both Windows and Mac from the links below after the jump.